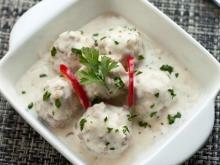 "Who could resist these Meatballs in White Sauce, especially when they`ve been prepared so masterfully?" Knead the mince, add the very finely chopped onions, egg, spices and well washed and drained rice to it. 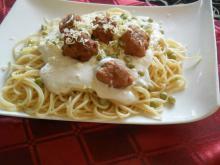 From the kneaded mince, form 12 meatballs. Pour in 4 1/5 cups (1 L) cold water in a pot, add the chopped parsley, celery, black pepper, salt and the oil. Add the meatballs and put on the stove with the pot's lid closed, boil about 15 min., remove from the heat. In another pot, heat the butter, add the flour, stir energetically for 30 sec. and remove from the heat. 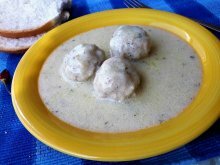 Pour in 2 cups (500 ml) of the broth in which you boiled the meatballs, stir, return the dish to the stove, boil until thickened. 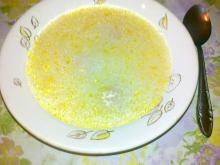 Heat the cooking cream slightly and pour it in a thin trickle to the thickened broth, while stirring nonstop. 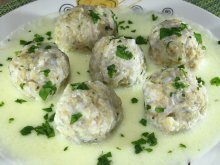 Add the meatballs and once boiling again, remove the dish from the stove, add the lemon juice and stir.